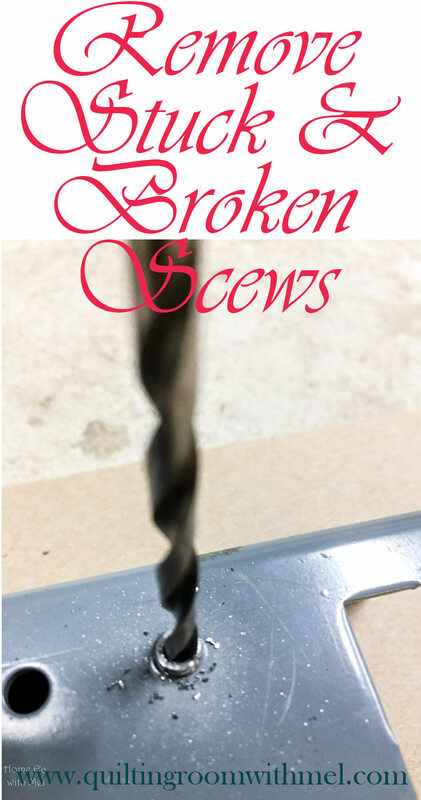 Hello everyone, today we are going to be talking about broken and stuck screws that we sometimes encounter while we are working on our vintage and older sewing machines. Actually, it really doesn’t just apply to old machines at all, any machine old or new can have problems like this so our topic can be applied to a vast variety of machines. We will start with screws that are stuck and discuss some of the diverse ways we can address the situation. From there we naturally going to discuss the inevitable. 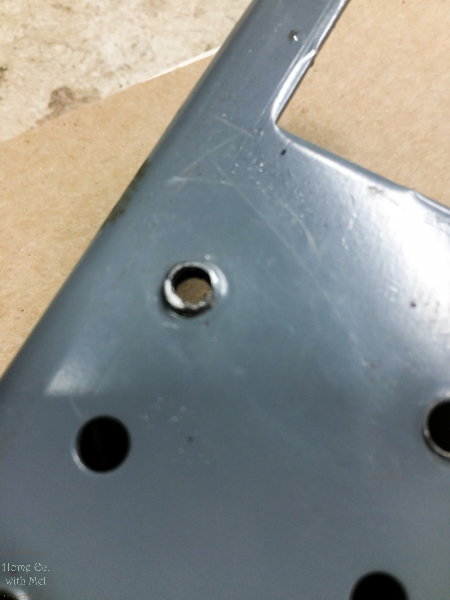 We will discuss broken screws and worn screw heads with the intention of offering some piece of mind in knowing it isn’t necessarily hopeless. There are methods to eliminate the issue with minimal or no damage. Recently a friend of ours was faced with some of these very issues, we helped them to work through the process to a successful ending. Having been a mechanical person most of my life I have been lucky enough to have faced almost all types of busted bolts and messed up threads and screw heads. The techniques I learned while in other job fields have been modified to fit the smaller applications necessary for working on sewing machines. The concept is the same regardless of the medium it is used with. Sometimes it is necessary to cater to a specific medium due to its specific composition but the theory behind threaded shafts screwing into matching threaded orifices remains unchanged. Since the theory doesn’t change then neither will the problems that we can expect to haunt us. The only thing that changes is the size of the threaded surfaces creating the problem. We still need to determine what is causing the threaded shaft to refuse to budge, is it rusted, or is it stuck because it was tightened too tight, or is it stuck by hardened lubricant and gunk. When working with small screws it is necessary to determine the exact causes to determine the easiest most delicate means to eliminate the issue. When we are dealing with a stuck screw and there doesn’t appear to be any rust holding the threads from turning then the most probable cause is going to be hardened lubricant acting as a typical thread locking compound, as in Loc-Tite or some other similar compound. Generally, the two best ways to eliminate the locked-up threads is to do some serious cleaning with a penetrating oil, or alcohol or acetone. When using alcohol or acetone use extreme caution around the finished surfaces of your machine. Protect the finish with a drop towel or plastic. Failure to follow these simple instructions can be devastating to a shellacked surface, INSTANTLY. If you should splatter some on the shellac don’t wipe it off let it evaporate. Then wipe it down with a generous amount of SMO. The second thing to do for stuck threads pertaining to hardened lube, oil or grease and gunk would be to apply heat to the offensive thread. This is done best with a good hot air hair dryer, or if available a heat gun or my favorite is an embossing tool. Basically, a miniature heat gun but it allows for a more precise application of the heat. We are not talking about heating things up to be red hot like we would if we had rust welded threads. We need to get it hot enough to liquefy the hardened lubricant but we also need to be careful not to overheat the surrounding area. We don’t want to melt any plastic or damage any finishes or decals. Hot to the touch and too hot to be touched by the soft skin on our forearms is generally hot enough to dissolve the old oil. While the old lube is gummy try turning the offensive screw with a properly fitting screwdriver. 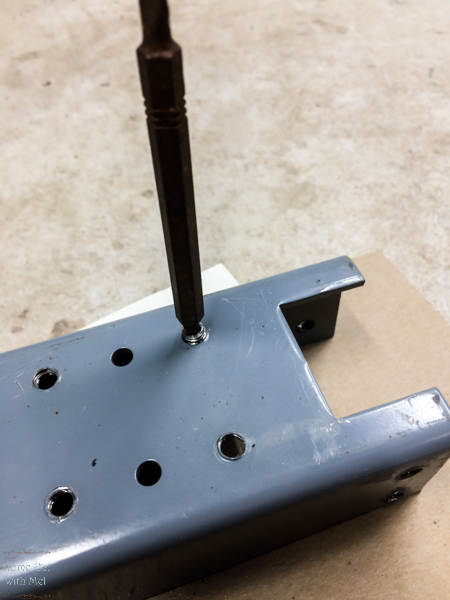 Applying pressure to the screw while heating will have its advantages. It may take a couple of attempts, be patient it didn’t stick overnight so it may take some time and effort to get it to unstick. Also using a penetrating oil of your choice may also help to get some movement in the threads. When using penetrating oil and then heating, it is not uncommon to have some minor smoke. Nothing to worry about it is not going to erupt into an inferno and burn the house down. But if you spray the penetrating oil directly onto the heat source and it is red hot like a hair dryer or heat gun element the atomized oil (fine mist) and the aerosol may turn into an exciting blow torch. The best method for using heat and penetrating oil would be to heat the problem area first then while the area is warm add the penetrating oil. As the oil warms up the viscosity thins down and increases the ability to creep into tighter spaces thus improving its penetrating ability. If the threaded area can be accessed from both sides then penetrant should be used on both sides. 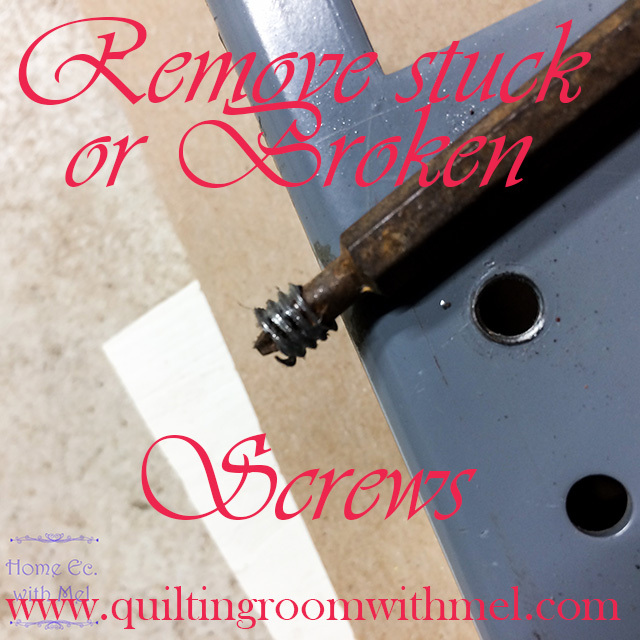 Sometimes a stuck screw may need to be tightened just a tiny amount to break the threads loose. By tiny amount, we are talking less than a hairs width of rotation of the screw. You may actually hear a faint click when the threads break loose. Once movement is realized in either direction the process is simply turn the screw till movement is halted, reverse direction and turn until halted, reverse direction and repeat. Each reverse of direction will yield a slightly larger rotation of the screw. Eventually, the rotation will equate to full revolutions. It can be time-consuming and tedious but patience and multiple attempts will be your best friend. Sometimes the inevitable happens and the screw twists off. It is still not the end of the world, broken screws can be removed by different methods with the final method being drilling the screw shaft out of the threads. But there are a couple techniques to try before we go to the extreme of drilling. When screws get broken they generally twist off at the head. We need to know if it twisted off the head because they threaded in as far as the threads would allow thus bottoming out and breaking because it was too long for the application. In this situation, we are severely limited to what methods we can apply. If we are lucky there will be enough screw shaft sticking out to get a grip on and we can unthread it back out. 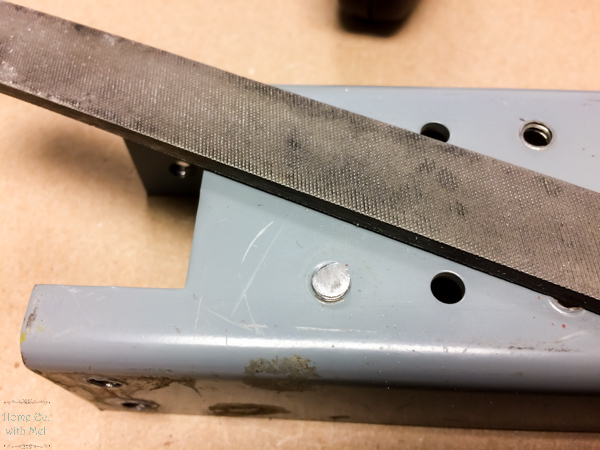 Small vise grips work well for this, also when there is not much out to grip with regular pliers I improvise with a small pair of end nippers or a pair or flat angle wire cutters from a jewelry makers hobby kit. 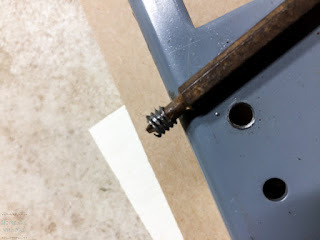 By gripping the shaft with the cutting edge hard enough to bite in but not cut off the shaft it’s possible to unthread the offending broken screw. 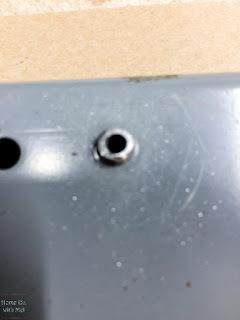 It the screw head was twisted off due to over tightening trying to hold something tightly without thread lock or lock washer and it did not bottom out in a threaded hole then it is entirely possible the pressure against the screw head being pulled in by the threads is what broke the screw. In this situation, as soon as the head popped off the pressure against the threads was released and the screw shaft may be able to be screwed out by using a sharp pointed pick and working the shaft the direction needed to back it out of the hole. If it threaded through the media and protruded out the back then it can be gripped from the back side and promptly threaded through by turning the shaft the same direction in which it was being turned when it broke. Or it may be taken out by turning the opposite direction and threading it back out the front side of the object. If these attempts fail or do not apply then we are back to using a drill. Ok, so we have been unsuccessful in our attempts to remove the %$$#^*!!!! broken screw. Now we have some choices to make that are strictly personal preferences. Can we get a drill where it needs to be without having to disassemble more of the machine? Can we drill it straight and extremely close to the center of the screw shaft or do we disassemble and hold the piece in a vise? Or take it to a local machine shop, bite the bullet and pay someone else to do it for us. If we decide we are going to be capable of drilling the shaft out we must remember these are usually not a standard thread size so it is imperative that we drill straight and as closely to center as humanly possible. With those thoughts in mind, we can proceed with the final technique to make the machine useful again. Once we have committed to following this to the end, here are the steps that I use when I have this situation. First, I try to use a file to flatten the end of the broken screw shaft. Then I locate the very center of the shaft with a very sharply pointed centerpunch. 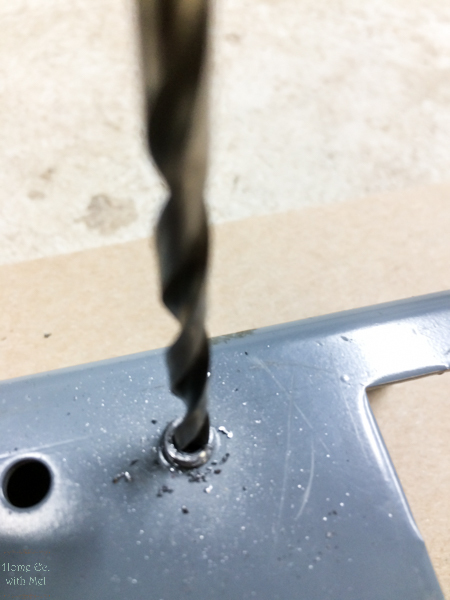 I center punch the shaft so my drill bit will not walk about /around while trying to start drilling into the shaft. The smaller the drill bit the easier it is to find the center and drill a pilot hole. The bad part is the smaller the drill bit the easier it is to break. So, we go very slow and steady and I use penetrating oil instead of cutting fluid to lubricate my drill bit. Some situations require the use of an actual drill, but sometimes I am more comfortable using a small bit in my Dremel tool. Most of the time when I drill through the opposite end of the screw shaft I can feel the void as the bit goes out of the shaft and bumps into the bottom of the threaded hole. With the drill bit still spinning I pull the bit out of the shaft. Now since I have a pilot hole to follow I change bits and make the hole larger and larger with each bit change as the hole becomes larger it becomes more obvious why we needed to be centered and straight with our pilot hole. We start getting pretty close to the threads. At this point, I start trying to turn the screw shaft with a small easy-out or sometimes a small screwdriver wedged into the hole. When we get just to the edge of the threads then I stop drilling and start working the edges with a sharp dental pick or a large sharps needle. As I work down one thread at a time peeling the thin shell of the screw shaft out of the threads I also try turning the shaft with the pick or needle. It will fold in and it will unthread itself from the threaded hole. Once again it is extremely tedious sometimes and as before patience and perseverance are our friend and benefactor. 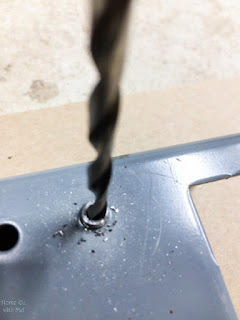 If we missed the center of the screw when we drilled we will still stop drilling when we start bumping the threads with the drill bit, we don’t want to cut out our original threads and we don’t want to have to re-thread the existing hole. We can still use the pick or needle to clear the threads and the shaft will begin to wobble in the hole, we work the shaft gently and remove it from the hole. Finally, we are ready to replace the bad screw with a good one and put our machine back into service. Fully exhausted, but it feels good to know we were successful. 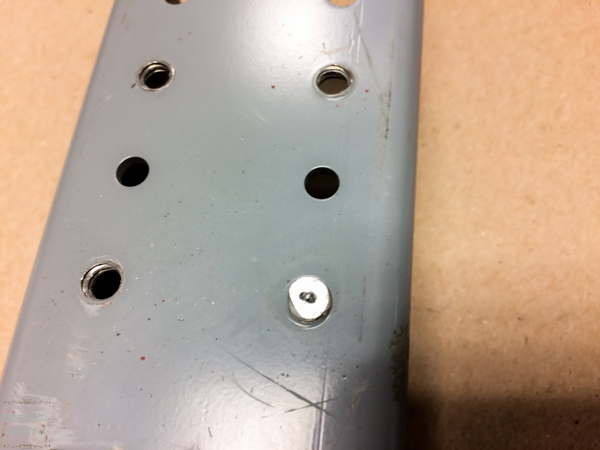 Just a quick add on to the above story - Set screws can be removed using the same techniques when the heads get messed up by the screwdriver, again patience and perseverance will prevail. Set screws with Torx or HEX heads are often heat treated hardened steel and may require special drill bits to cut them out. They are harder than the steel they are threaded into so it will be easy to mess up threads if diligence doesn’t prevail. Best of luck with your endeavors, enjoy your machines your way and may you never have to use these techniques on one of your beloved machines.